Bound By Books Book Review: Colt by Jaqueline M. Sinclair is LIVE! 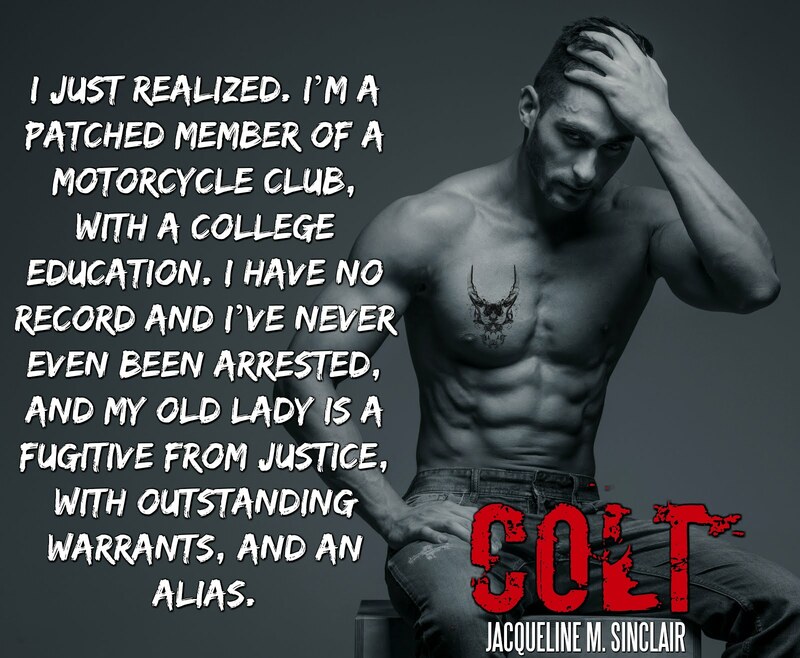 Colt by Jaqueline M. Sinclair is LIVE! My dad had been murdered, left to die in a filthy, roadside bathroom. I was consumed with a hate so strong that I gave up everything to join his brothers. Now I'm a fully patched Demon, and it's time for war. I didn't know where else to go. The Demons of Destruction MC needed information, and I needed protection. 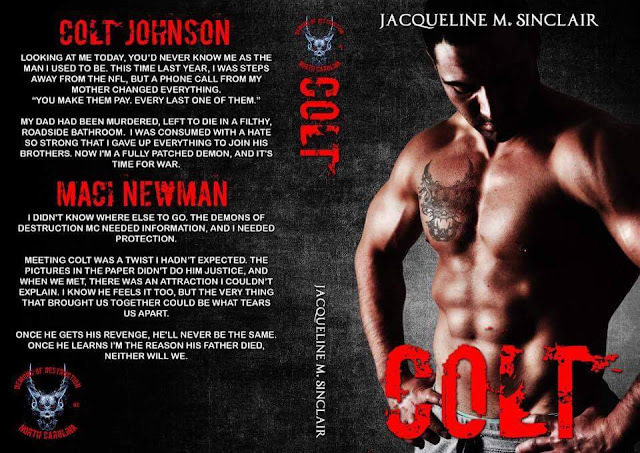 Meeting Colt was a twist I hadn’t expected. The pictures in the paper didn't do him justice, and when we met, there was an attraction I couldn’t explain. I know he feels it too, but the very thing that brought us together could be what tears us apart. Once he gets his revenge, he'll never be the same. Once he learns I'm the reason his father died, neither will we. 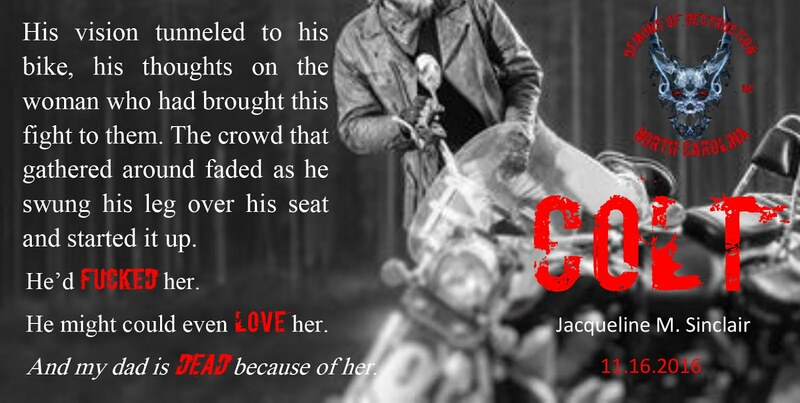 Jacqueline grew up in the rural southeast and is the youngest child of a large and rowdy family. Reading was an escape when there wasn't much else around to do. She loves everything from classical literature to true crime and everything in between. With her two children grown and gone, she's surrounded by a menagerie of adopted pets and a two-legged thief who refused to give her heart back after a night of karaoke. 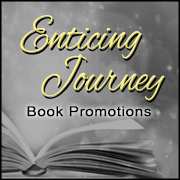 With a day job and a dream job, her writing is a steamy combination of real life and seeking to answer the age-old question of what would happen if...and then characters come along and completely derail the plan. 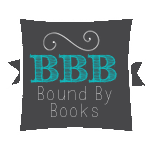 Letting them have their say provides plenty of sleepless nights and an endless combination of coffee and wine, but she hopes you enjoy their stories.